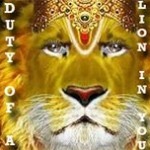 Curse bear huge repercussions, negative impact is so deep that even Deities and Gods could not save themselves from it. The principle of righteousness, morality and piousness define longevity and harmony of this Universe and beings within. No one can escape 2-dimensional principle of this Universe Boon/Curse, Good Karma/Bad Karma drive lives of people staying in this Universe. 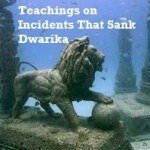 The rules set by Bhagwan is to be followed by Bhagwan and his followers. The impact of curse depends on the deeds of the person who is cursed. Cursing innocent person can boomerang on the curser. A person curses another for the wrong doing. Arrogance and bad deeds invariably attract a curse, even if the bad deeds are conducted for a bigger cause, that help others. The universal karmic principle is so intricately designed by Bhagwan that it is impossible for anyone to run away from it. 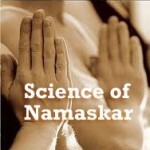 There are solutions to dilute or revoke impact of curse. However, one has to bear the brunt of curse, there is no way out without undergoing its negativity. Curse is transfer of negative energy in materialization of universal elements on the targeted person. 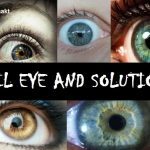 This materialization comprise of fever, disease or even turning the person into a stone (as seen in Sanatan History of Bharat). The transfer of energy can make a person turn into anything that is possible within rules of Universe. The word of advice is NEVER curse your loved ones in minor quarrel or fights. Multiple recitements of curse bear negative fruits, REMEMBER: whenever the person who is INNOCENT is victimized by curse then the curser has to bear the brunt once the victim undergoes through its impact. Wrongful deeds of the target (person who is cursed) begets negativity however his pious deeds revert with minimalist impact. Every realization in this universe has to follow the principle of creation/destruction. The principle of creation/destruction is a 3 step universal process, everyone has to follow this process to realize their goal. 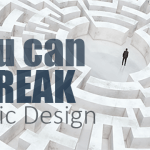 The 3 step process given above is realized with the intervention of either or all three universal mediums: mentality, physicality and spirituality. 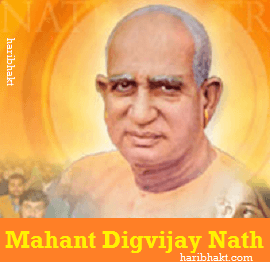 Seers who are chaitanya (self realized souls), are very powerful to follow the 3 steps mentally, with a mere thought they can realize their imagination in the form of a curse or a boon. 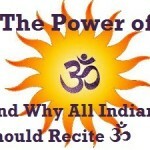 They achieve it using universal medium of spirituality. For common people, it can be only done through physical activity and spirituality. Curse obeys universal medium of mentality to realize its outcome. Our past recorded several curseful incidents which changed the course of history for all Bharatwasis. 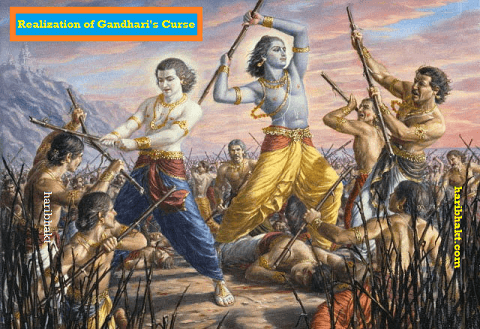 The negativity of the curse caused trouble to deities and common people – everyone has to follow the universal rules, no one can get away with it, though they can dilute its impact or decrease its tenure to some extent. 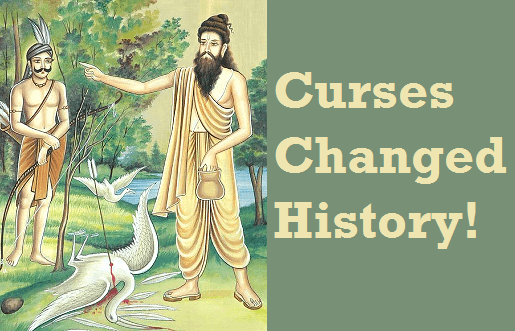 Let us check out some of the eventful curses in the history of Bharat that changed the course of history. Gandhi was epitome of muslim appeasement, he was in a dominant position and could have opposed muslims against killing of millions of cows, murder of lakhs of Hindus and Sikhs, r@pe of thousands of Hindu and Sikh women – but he never did, instead he asked Hindus to submit to illicit demands of demonic muslims in the name of farce, cowardice and illogical non-violence. Gandhi allowed division of India in the name of Islam which caused creation of terrorist state, pakistan. Mahant Digvijay Nath joined congress for cow protection. The great sage always raised his voice and requested Gandhi to stop cow slaughter across India while respecting sentiments of native Indians, Hindus. Gandhi promised to protect cows but never kept his word. Infurious Mahant Digvijay Nath cursed Gandhi that not fulfilling his promise to protect cow could lead to his untimely death. 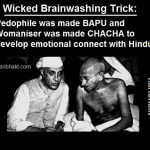 True to his curse, Gandhi was killed by Nathuram Godse. This changed the course of Indian history. 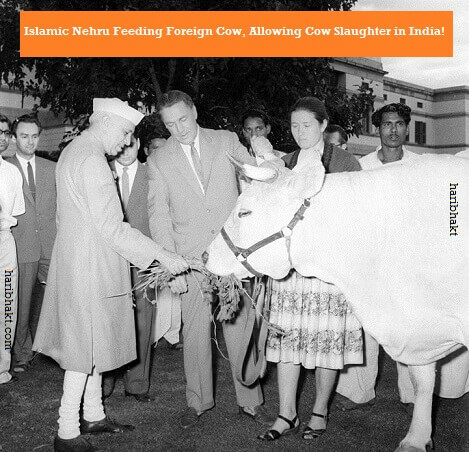 Before Independence, to gain support from devout Hindus, Nehru supported ban on mass cow slaughter. He said in several speeches that he will close slaughter houses after independence. A bill to ban cow slaughter which was also supported by muslim MPs was tabled in the parliament, Prime Minister Nehru stood up and said that if the bill passed, he would resign. Like Gandhi, this self-egoistic Nehru never wanted to be seen as a protector of Indian culture, the bill was never passed. Several Hindu sages cursed Nehru for his anti-Hindu approach. Nehru died after long term illness. In 1966 Indira Gandhi’s popularity waned. She was afraid of losing power. One of her aides suggested her to take blessings from Hindu sages. She visited Swami Karpatri ji for the blessings. Swami ji blessed her success and asked her to fulfill the commitment of ending cow slaughter. Indira promised that she would definitely ban it if she wins the election. 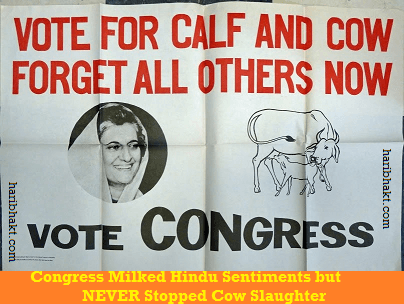 Days passed into weeks, Indira Gandhi did nothing to end cow slaughter. Swami Karpatri ji sent her messages and requested to fulfill her promise. But Indira ignored his repeated requests. 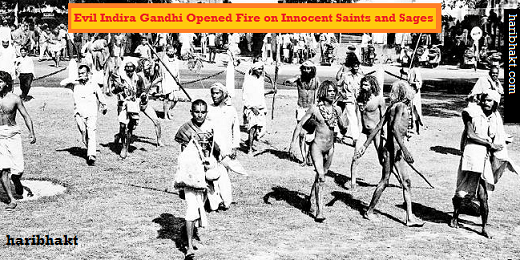 Several saints and Swami Karpatri ji with their followers protested outside the parliament, but instead of considering their justified demand, Indira Gandhi ordered to open fire on them. Many innocent saints and Hindus were killed. Enraged with such Jalianwala Bagh type massacre, Swami ji became furious and cursed Indira Gandhi that she would be similarly killed as innocent saints and his followers were shot dead. The curse realized, Indira Gandhi was unexpectedly shot to death at 9:20 a.m. on 31 October 1984. The atrocity and angst of Sinhalese for Tamilians is under-reported by world media – with limited control, when Srilankan Army regularly fire innocent Tamil fishermen in Indian ocean, imagine what they are doing with Tamils when they are in full control in Srilanka. Tamils in Srilanka were treated as third grade citizens. After decades of ill-treatment, their moderate movement turned into violent aggression. LTTE was formed for upliftment of Tamil pride and safety. LTTE was a militant organization created with the funds of Norway intelligence department. LTTE aggression was internal problem of Sri Lanka but foreign affairs ministry under Rajiv Gandhi handled the conflict naively. Rajiv Gandhi ordered Operation Pawan to decimate strength of LTTE. The act enraged Tamils of India and Sri Lanka. 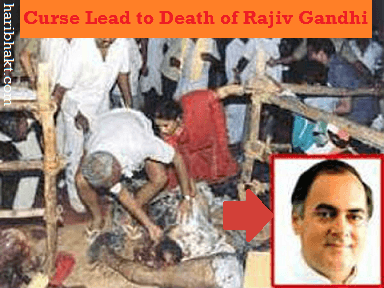 Priests and followers of Trincomalee Koneswaram temple cursed Rajiv Gandhi to meet the gruesome death. The curse was realized on 21 May 1991 in Sriperumbudur when Rajiv Gandhi was blown to pieces by LTTE militant. Atal Bihari Vajpayee promised Hindu Sages and Rishis of Dharma Sansad that he would end cow slaughter if he became Prime Minister of India. He was blessed by the Sadhus that he will one day definitely become Prime Minister. Atal Bihari Vajpayee was one of the great statesmen and popular Prime Minister of India. He was leading coalition government of 24 parties. After several attempts, Hindu sages asked for the meeting with Atal ji to discuss ban on cow slaughter in India. Atal ji arranged lavish foods and fruits for the sages, welcoming them with open arms. Hindu sages refused to even touch the foods and asked him to first give date and time when cows would be fully protected in India. Atal ji informed them that it is impossible for him to do so as his government runs with the support of parties who never advocate culture of cow protection, if he tries to do so, he might lose PMship of India. Hindu sages told him that supporting the cow slaughter ban would bestow blessings on him and mother cow would make him Prime Minister again if he loses power. Atal ji became speechless and averted reaction. 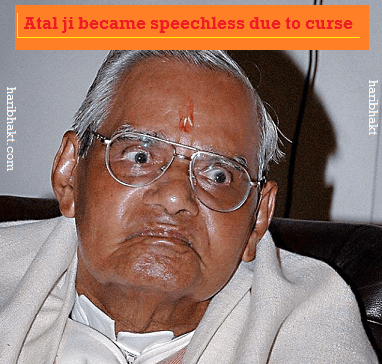 Agitated Hindu sages cursed Atal ji that he would become speechless and fail to understand things in future the way he was behaving with them, ignoring their pleas. True to this curse, Atal Bihari Vajpayee lost power, after some years suffered paralytic attack became speechless and found difficulty in remembering basic chores of life. Hindu sages that is why several times advised Narendra Modi ji and other ministers of India to fulfill promise about mother cow protection and Indian culture and not use the Hindu sentiments for votes like erstwhile leaders did. Vali became arrogant and evil after he got immense power, he could not be killed by anyone as he had a boon that his enemy’s strength becomes half as soon as Vali sees his enemy. 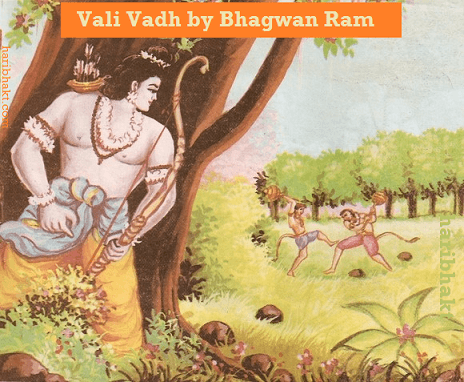 Bhagwan Ram had no option but to kill Vali from behind. Ram killed Vali when he was having a duel with Sugriv. Tara, wife of Vali (also known as Bali in several Hindu texts) got angry and cursed Ram that he will lose Sita Mata after finding her. Tara also cursed Ram that in his next birth as Bhagwan Krishna, he will be killed by Vali. It did happened Bhagwan Krishna was accidentally killed by Vali (Hunter in Dwapar Yug). 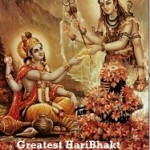 The accident was designed so that the curse is fulfilled and Vali could not bear further brunt of it. Killing Bhagwan is impossible, but to end his leela, Krishna left the earth after Mahabharat war and establishment of dharma. Curse made Ram lose Sita Mata and ended leela of Bhagwan Krishna. Bal Hanuman was very mischievous (natkhat), it is attributed to the fact that due to past curse he had to take birth in a Vanar form, baby vanars by nature are mischievous. Child Hanuman annoyed several sages with his naughty acts of throwing yagna vessels or uprooting trees of the ashram to disturb Rishis. Rishi Matang got irritated with Hanuman when he did similar things to him. He cursed Hanuman that he will not remember his ability and strength till someone reminds him about his powers. 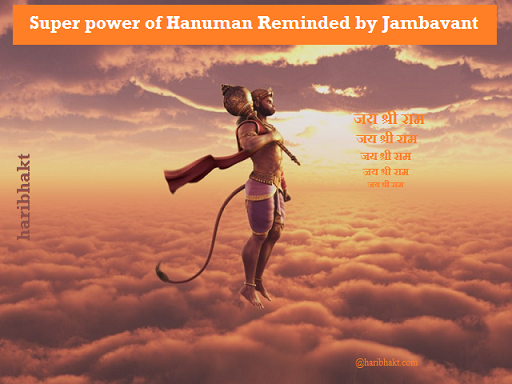 When Jambavant reminded Hanuman of his abilities to fly to find Sita Mata, he was able to sped through ocean recalling his super power to flight through winds. In blind love towards her evil sons and daughters, Gandhari held Krishna responsible for their death in Mahabharat war. She cursed that Yadav clan will also be destroyed in similar infighting as it happened between Kauravs and Pandavs. Her curse was realized after 36 years of Mahabharat war. Yadavs became drunkard and adharmis and died due to infighting. 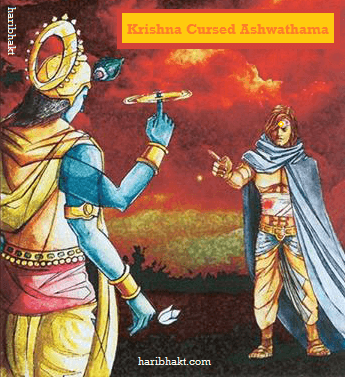 After killing 5 innocent sons of Draupadi, Ashwathama tried to kill Abhimanyu’s son Parikshit with a deadly nuclear weapon Brahmastra, Krishna cursed him to live forever in Kaliyug with incurable diseases and pain. Ashwathama is still alive and is undergoing the curse to this time. 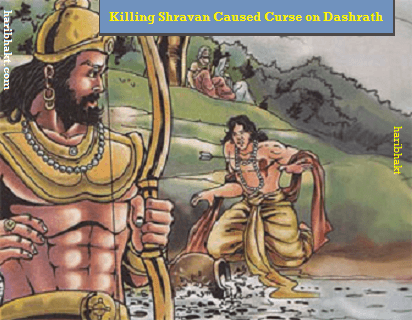 Parents of Shravan Kumar cursed King Dashrath to suffer separation of his son. Bhagwan Ram left home for 14 years to fulfill wishes of step mother Kaikeyi. Always bless your loved ones, avoid cursing innocent people. Spread love and peace in the world. Always keep your word and fulfill your promise. Being a rational scientific Indian born into a middle class family taught me how to face struggles of life n get positioned in the society yet my inner desires to know the truth of life is embedded in Hinduism only.I so far studied books on religions of the world but Hinduism has much depth beside others.Now it’s my moral duty to spread the meaning of life out of this great civilisation i born into.Jai hind.Jai sriram. Very noble thoughts. Keep spreading information while sharing in social media sites about anything that you get in internet – whether it is from this site or other sites. 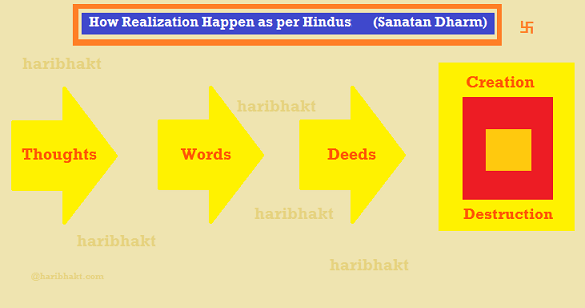 Only awareness can unite us Hindus again in a MASSIVE way so that we become peaceful force to reckon with. Saving Hinduism and our culture is saving humanity as we believe in Vasudhaiva Kutumbakam and have no concept of kafirs or infidels like other cults (so called religions). Welcome back! Where were you? Thanks for visiting us again. 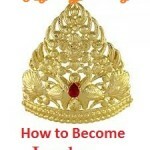 Gradually you find more steps taken towards our culture and awareness of our tradition. The groundbreaking victory in UP has shown what Hindu unity can do for us. We all should remain united and work towards upliftment of our brothers and sisters – culturally, economically and spiritually. Definitely sir, we should transform India into a Hindu Rashtra!